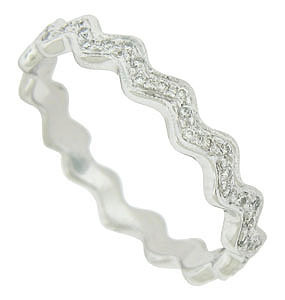 A diamond encrusted zig zag ribbon forms the surface of this unique antique style wedding band. 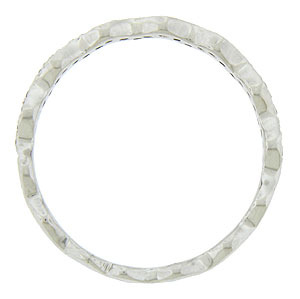 The wedding ring measures 3.44 mm in width. Size 8. We cannot re-size.